The winner of this package will get a round of 18 holes for 4 people at Oakdale Golf & Country Club, including 2 power carts. Oakdale was named "Best Private Club" in 2015 and has three 9-hole courses: The Knudson, The Homenuik and The Thompson. 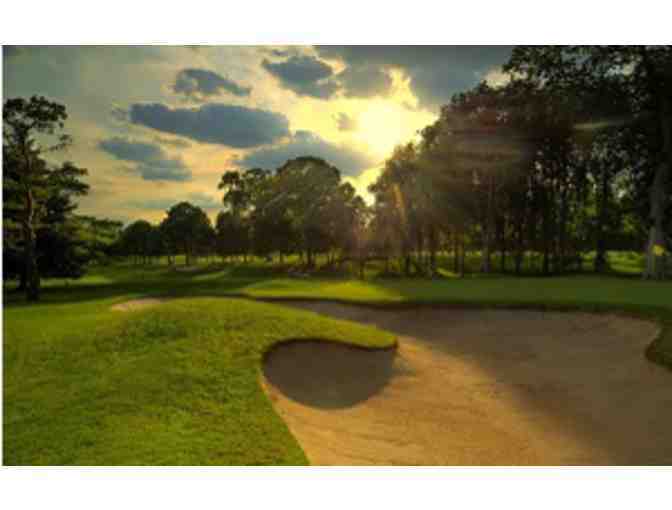 For further information about Oakdale Golf & Country Club, please visit http://www.oakdalegolf.com/Golf/Visitor_Information. Winning bidder will have certificates mailed to them on July 25, 2018 by courier. Valid Monday through Thursday and must be played during the 2018 season. Host caddy is required and subjected to a $60 fee paid directly to the caddy on the day of play. Not included in the price of this auction item.